RAPAPORT... De Beers will allow its sightholders to disclose source information on diamonds they purchase from the company, after unveiling its “diamonds from DTC” program Monday. 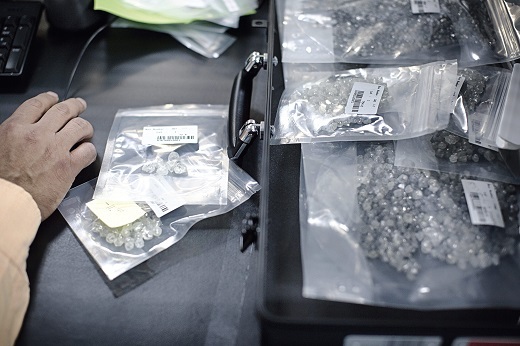 Beginning from the miner’s third sight this year — which runs from April 1 to 5 — customers can refer to stones purchased from De Beers as “diamonds from DTC” across the value chain, down to the end-consumer level, De Beers said. In Canada, the term “diamonds from Diamond Trading Company” will be used. Diamond Trading Company, or DTC, is the trading name of the De Beers Group Sightholder Sales (GSS) division, and is generally recognized within the industry, the company noted. The stones will link to the miner’s dtc.com website, which provides origin and sustainability information on its mines, spread over Botswana, Canada, Namibia and South Africa. De Beers’ sightholders have long been requesting to disclose the provenance of the diamonds they purchase from the company. The miner bans its customers from using the De Beers name, as it reserves this solely for the use of its own consumer brands, De Beers Jewellers and Forevermark. However, as the call for greater transparency in the industry grew, De Beers’ policy became a growing problem. The company finalized the decision after consulting with clients during its December 2018 sight.